2. Tempel Rytmik - "Anagrama"
3. Axel Boman - "Klinsmann"
4. Alex Burkat - "Shower Scene"
5. 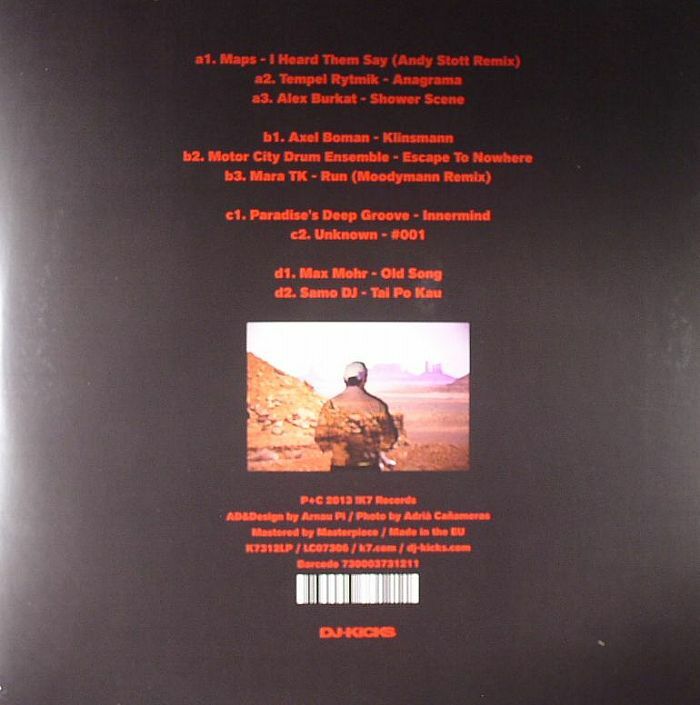 Motor City Drum Ensemble - "Escape To Nowhere"
1. Paradise's Deep Groove - "Innermind"
3. Max Mohr - "Old Song"
5. Samo DJ - "Tai Po Kau"
6. Paradise's Deep Groove - "Innermind"
8. Max Mohr - "Old Song"
9. Mara TK - "Run"
10. 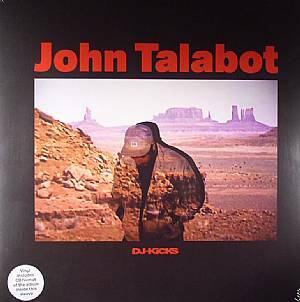 Samo DJ - "Tai Po Kau"
John Talabot joins the likes of Scuba, James Holden and Motor City Drum Ensemble to contribute to the long running DJ-Kicks mix series that's deftly proved there's still mileage in the commercially released Mix CD despite this podcast heavy age we live. The usual double LP edition culls ten cuts from the weighty 27 track mix which the Hivern Disc lad has described as "not an easy mix. It's quite strange". If you've seen Talabot DJ you know the Barcelona based artist digs deep and that's represented well on these ten cuts, with Andy Stott's lurching take on Maps and the similarly minded Tempel Rytmik ( the new project from Talabot and Alexander 'Genius of Time' Berg) contrasting nicely with the more effervescent house from Axel Boman, MCDE and Paradise's Deep Groove. Kudos too for the inclusion of Samo DJ's "Tai Po Kau"!